Hello and welcome to our new blog! We hope this will provide some interesting insights in to how we work and a few behind the scenes snippets. 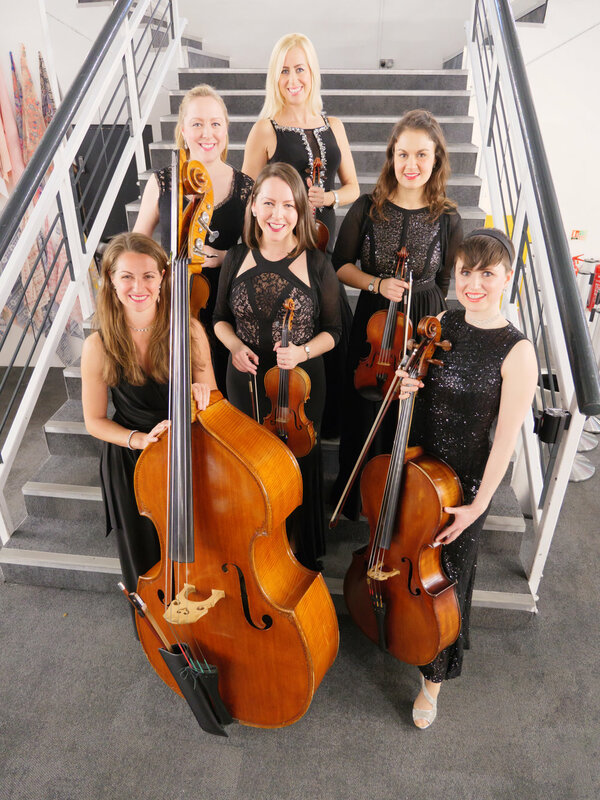 We were delighted to launch our new line, The Exclusive String Sextet, in January this year and gave our inaugural performance at The London Textile Fair for one of our favourite corporate clients. As anyone who has taken an interest in our 'Exclusive Line ups' will know, these ensembles are 'based around the bass' - and we have 2 or 4 violins either side to offer our Exclusive Trio or Quintet. On this special occasion we were delighted to make the addition of a cello which enabled us to write yet more beautiful musical lines and textures in to our arrangements of well known songs and music. Many of the guests commented on how much they enjoyed our music and also uploaded their own videos and photos to social media. Particular modern favourites seemed to be I Don't Wanna Miss A Thing and Uptown Funk! As we were performing in a fairly large space at the Business Design Centre the client also wisely hired our amplification and engineer in order that the sound could be supported and our music be heard properly. As can be seen above our client was pretty happy with the addition of our cellist! We are excited to offer the Exclusive Sextet alongside the Trio and Quintet. The Sextet is suitable to play for corporate event receptions and dinners and private parties and weddings with larger numbers.